The cannabis industry could grow into a $50bn industry as more US states legalize its recreational use and investors let go of its stigma. Massive amounts of private capital are sitting on the sidelines of the incredibly versatile agriculture industry, waiting for some trigger to help identify the right places to invest. Voters may have pulled the trigger earlier this month on one promising subsector, marijuana, when four new US states — including the weed mecca of California — approved its recreational use. California, Massachusetts, Nevada voted to legalise its recreational use, adding to the list that already included Alaska, Colorado, Oregon and Washington, along with Washington, DC. (A recount is underway in Maine after a narrow approval). This comes as more US citizens and corporations embrace marijuana and anticipate exponential industry growth. Financial services firm Cowen Group now estimates a $50 billion US market for legal marijuana sales in a decade, up from $6 billion today. Meanwhile, a recent Gallup poll found nationwide support for legalisation hit 60 percent, the highest level ever recorded. And in corporate America, Scotts Miracle-Gro and Microsoft are among those who have made significant investments. Is private capital next? In one promising sign, Seattle-based private equity firm Privateer Holdings, which invests in legal cannabis, recently announced that it had become the first industry player to raise more than $100 million. Part of that was a commitment from San Francisco-based Founders Fund, a venture capital firm. The passage of legalisation in California in particular – with its huge economy and population, fertile soil and amenable climate – is a major leap forward in giving marijuana further legitimacy, Troppe says. He and other industry fund managers tell Agri Investor that while the industry remains largely untapped by private and corporate money, they are seeing increasing interest from hedge funds, high net worth individuals, family offices and others. Returns are one draw. While even high risk-reward funds elsewhere in the agri sector would rarely eclipse net internal rates of return in the 20s, it isn’t uncommon for cannabis-focused funds – which are often investing in early growth companies or technologies – to target IRRs in excess of 30 percent, sources said. Emily Paxhia, managing director with Poseidon Asset Management told me her fund, focused on cannabis and its industrial hemp derivative, has an annual IRR of 42 percent, net of fees. While private capital has been coming into the sector steadily since her company launched in 2013, she isn’t worried about any rush of new funds entering the market. There might be somewhere around 100 viable agri funds out there, but Paxia estimates there are currently just 10 focusing on cannabis in some way. “Every year we see people who say they are launching funds and they never materialize, so I take that with a grain of salt these days,” she said. 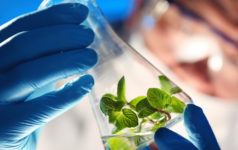 But, she admits that, “at the end of the day, we are talking about plants that are ultimately going to be a commodity”. And, as others noted, this particular plant also costs more per pound than virtually any other.